Okay. I declare it is fall! I've worked in my yard two mornings this past week, and it was cool and breezy and it felt so good to be outside again. The air-conditioned box I've been living in for the past six months has opened up, at least in the late evenings and early mornings when I'm grateful to be able to leave the windows open. I can sit on the back porch with my coffee in the mornings and think about going to the DBG's fall plant sale or my favorite nursery, Dig It, to buy new plants for my yard. Although their stems are brown and crinkly, the sunflowers are still blooming and the yard is filled with butterflies feasting on the lush flowers that have managed to stay alive. My problem is that my body creaks and whines about too much bending over, dragging of dead branches, pushing to do more than it wants to at this point in my life. I'd love to stay outside working for hours, but the payback is an aching back, creaky knees, and an exhaustion deep in my muscles and bones. Getting older is trying. I read an article a few weeks ago in the New York Times about Helen Mirren, who suggests that we should grow into our wrinkles and relish the wisdom that the years we've lived have given us. She says she has issues with talking about aging: "If people treat me like the age I am, I get absolutely insulted, really cross. I hate when people give up their seat for me. No, no, no. I don't want your seat." I had a similar experience myself one day in the parking lot of a grocery store. A woman, perhaps a few years younger than I am, walked over after loading her trunk and asked if I needed help getting my bags into my car. I sputtered 'no thanks' but it took me an hour to get over thinking that I must be looking old, decrepit, and helpless. I'm sure she was just being nice, practicing doing good deeds for random people, but what she gave me was a moment—closer to sixty moments—to reflect about my reaction and my sense of who I am, how old I am, how to be gracious and appalled at the same time and, basically, to think about growing older. 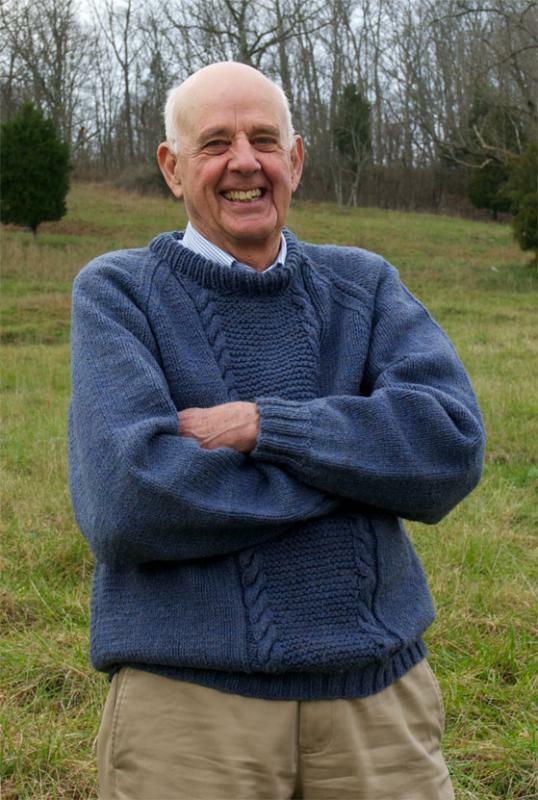 Thoughts of aging sent me straight to Wendell Berry, one of my favorite writers, who is in his eighties and has never been to a gym but who works on his farm every day he isn't traveling to do readings. He talks in many of his poems and novels about growing old on his farm in Kentucky, living in tandem with the natural world, the animals he cares for, his wife of many years, and his writing. Growing older for him is so natural, so part of his everyday experience. Wrinkles, aching back, the sun on his skin, the life and death of animals and plants—all are part of his everyday world, and all are to be relished, not worried about. So, I'm reading his poems and thinking this through. Thankfully, there's always a book for what ails me. Thinking about Berry's natural world, one far from mine except when I'm gardening, my friend Scottie Jones came to mind. She has just written a book about her own Wendell Berry moments: Country Grit: A Farmoir of Finding Purpose and Love. It's about her farm in western Oregon where she raises sheep and chickens, and about her escape from the rat race of city living. For years Scottie and I would walk on neighboring treadmills in the gym and share our lives as we 'grew' our businesses and our children. We talked for 'miles' about community, retail trends, employees, families, parenting, dyslexia and ADHD. When she left to follow her dream, I was bereft. Thankfully our friendship has endured. I continued to grow Changing Hands, and she started growing lambs, raspberries, and a FarmStay organization that brings cityfolk to the country. She will be talking about her book and her life at our Phoenix store on October 29th. I hope you can join me. Happy Halloween, Día de Los Muertos, and celebrating the upcoming cooler weather. Come and visit us to see the shelves filling up with wonderful fall treasures, holiday gifts, 2018 calendars, and staff recommendations for great books to read. It’s lovely to walk the aisles with breezes from outdoors blowing through our open doors, music from one of our restaurant neighbors wafting in, and the sense of freedom that comes when the frames of the air-conditioned boxes that delineated our lives for so long have broken. Enjoy.